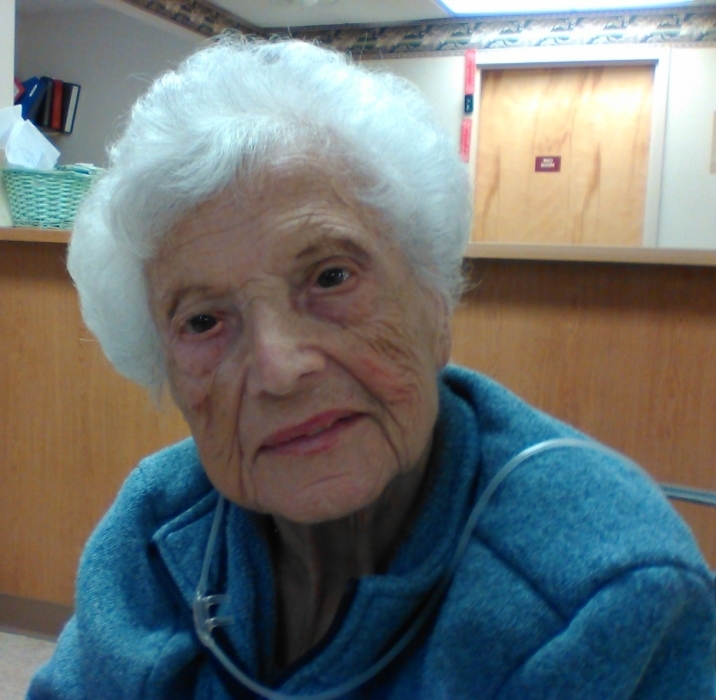 Linda Pomponio, 96, passed away Friday, Nov. 23, 2018 at The Omni Manor Healthcare Center. Linda was born Aug. 8, 1922 in Naples, Italy, to the late John and Annunziata Maddaluno Uggento. Linda had a great passion for sewing and was a self-employed seamstress at Linda’s Alterations. She designed and sent a beautiful dress to young Caroline Kennedy while President Kennedy was in office. She took pride in baking and cooking Italian cuisine for her family, friends, and even strangers. Linda will be missed by her husband of 70 years, Louis, whom she married May 20, 1948; her son, Edward (Karen) Pomponio of Canfield; her daughter, Nancy Ayers of Austintown; three grandsons, Dion (Jaime), Daniel (Lynn), and Joshua; her six great grandchildren; and her sister, Esther Reigle of Missouri. She was preceded in death by her parents and six brothers and sisters. The Pomponio family has entrusted their loved one to the care of Schiavone Funeral Home. Family and friends may visit from 10-11am on Monday, Nov. 26 in St. Edward Church prior to mass at 11am. The family would like to thank Linda’s caregivers on The West Wing of Omni, especially Casandra and Katie who offered their support and prayers. Contributions may be made to Hospice of the Valley in Linda’s memory.